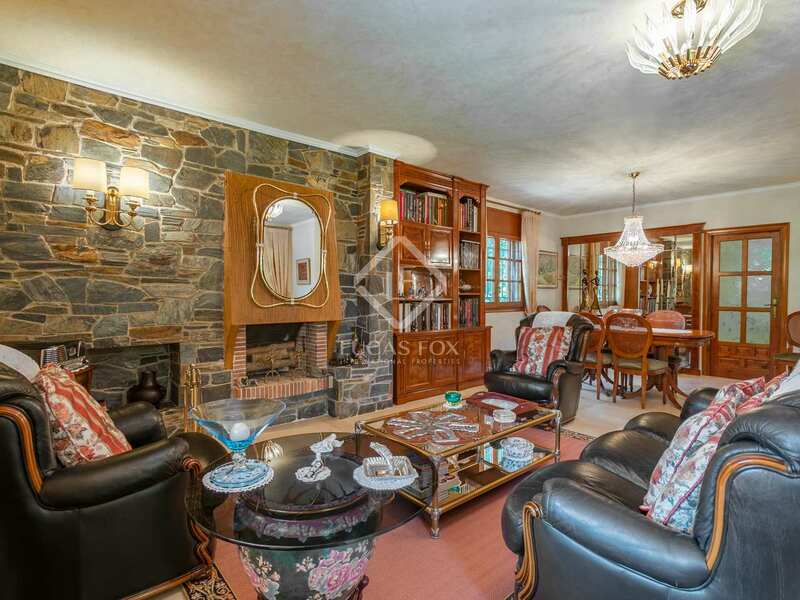 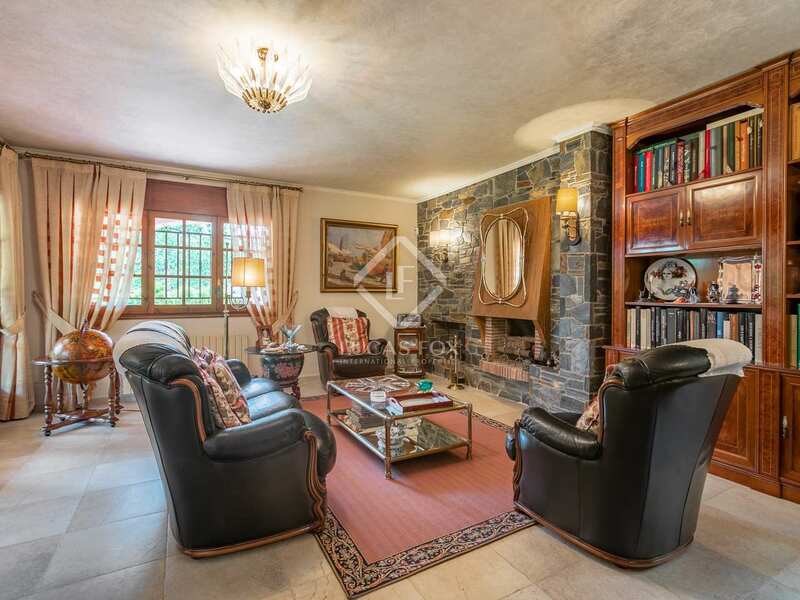 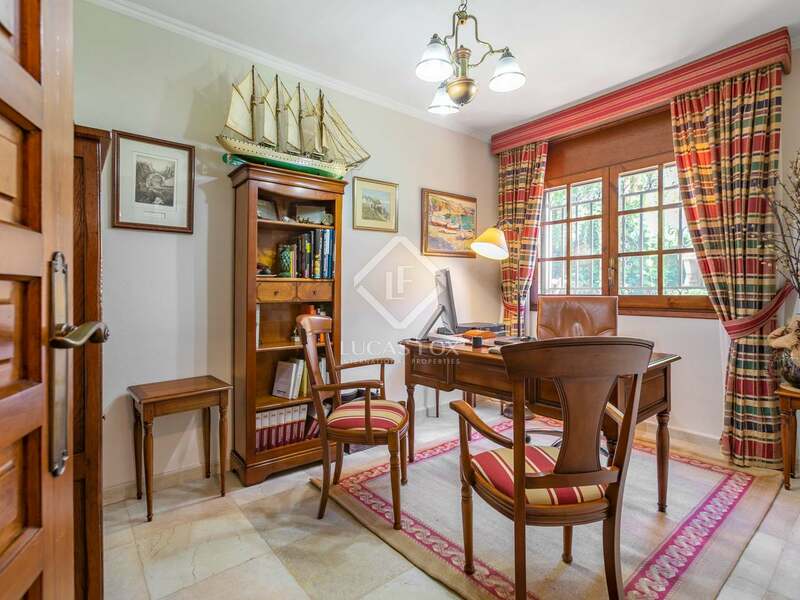 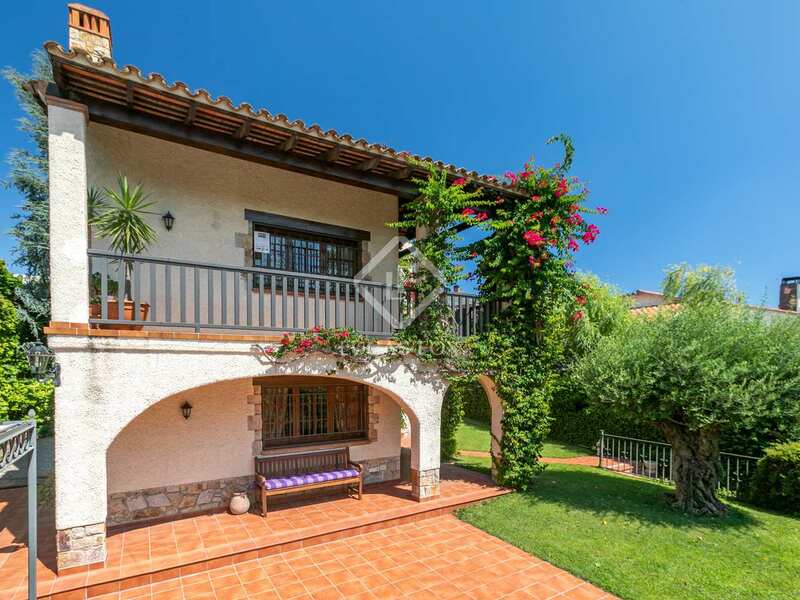 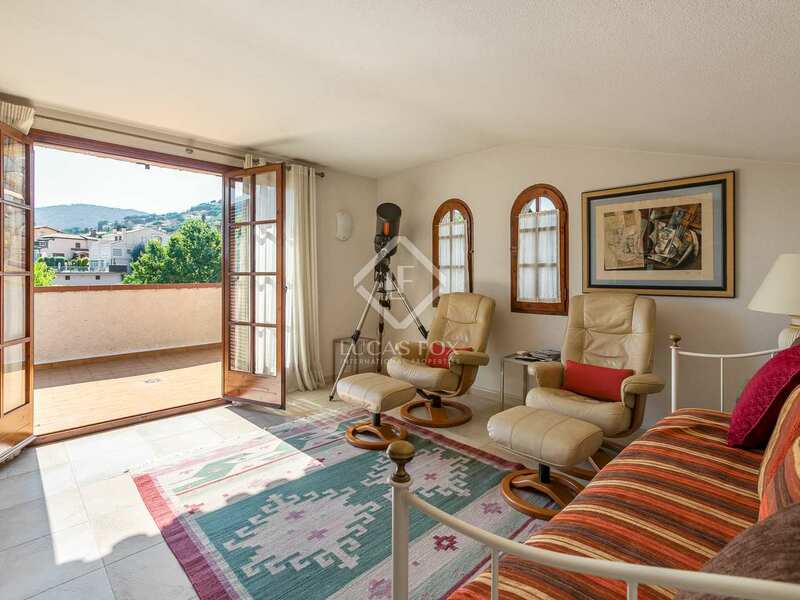 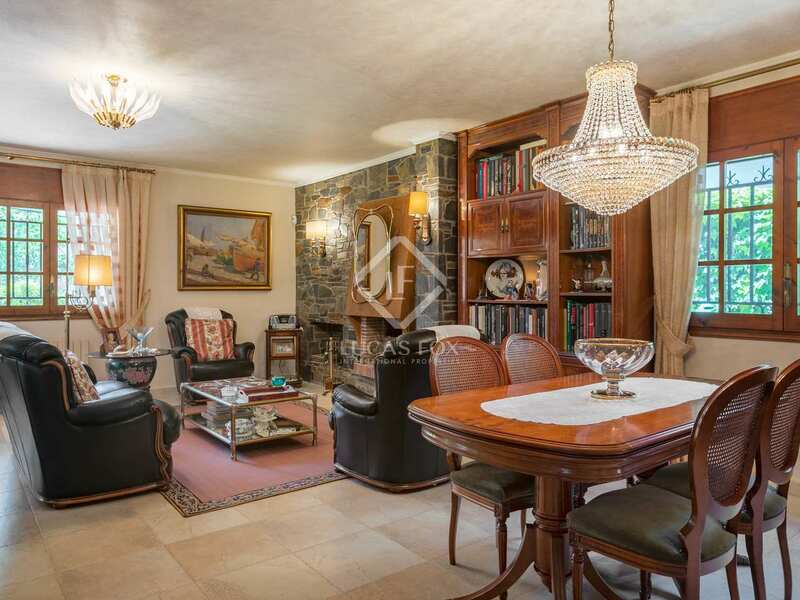 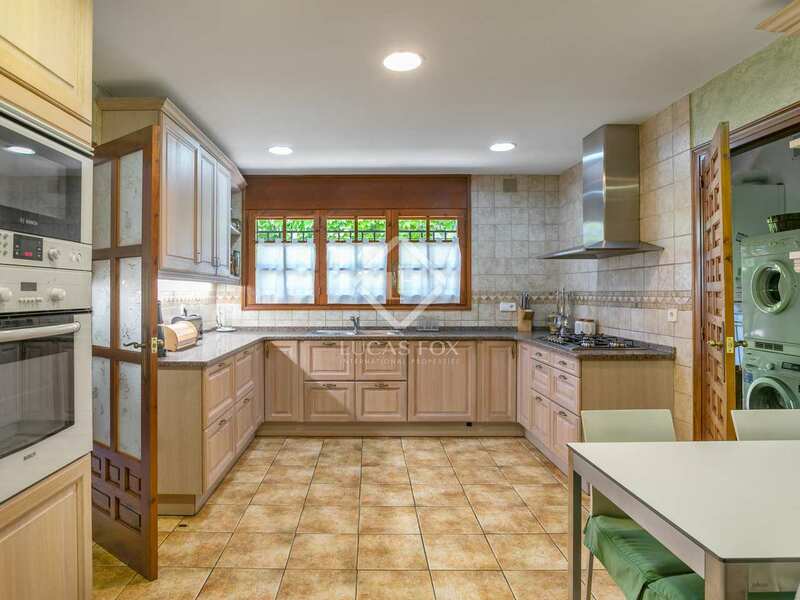 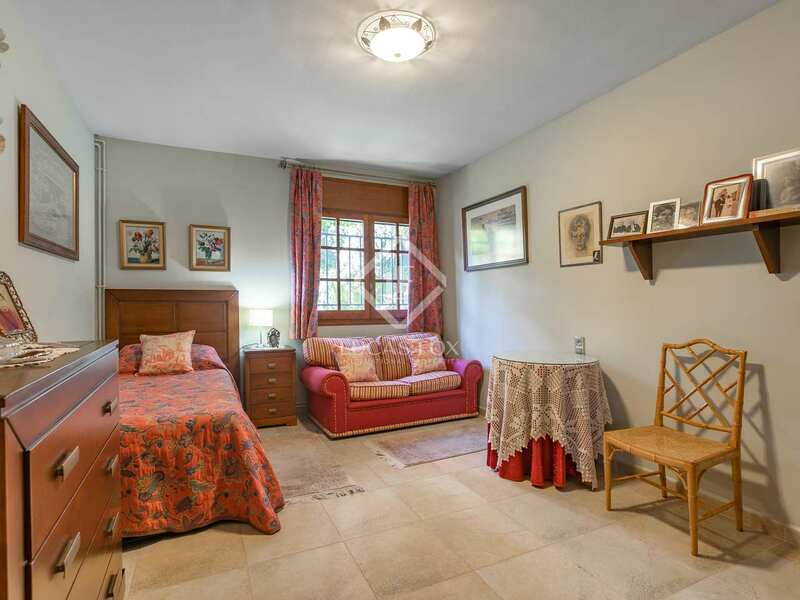 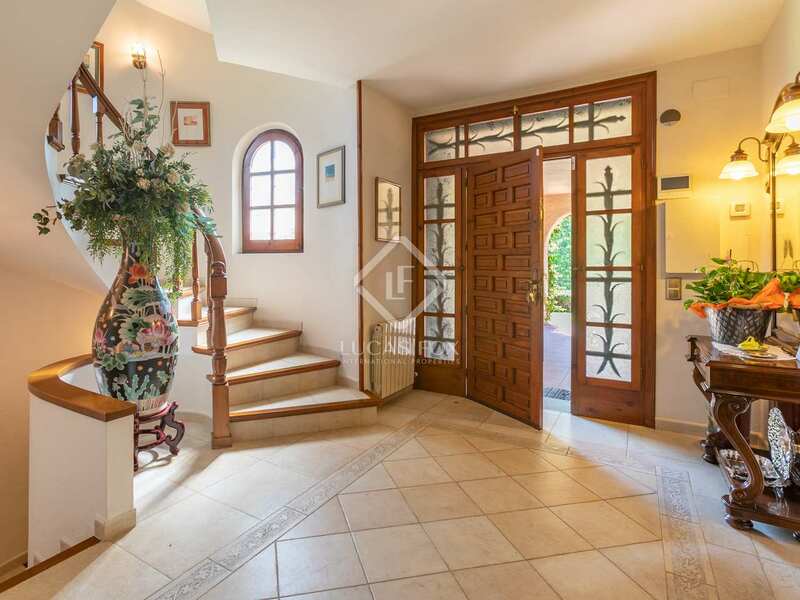 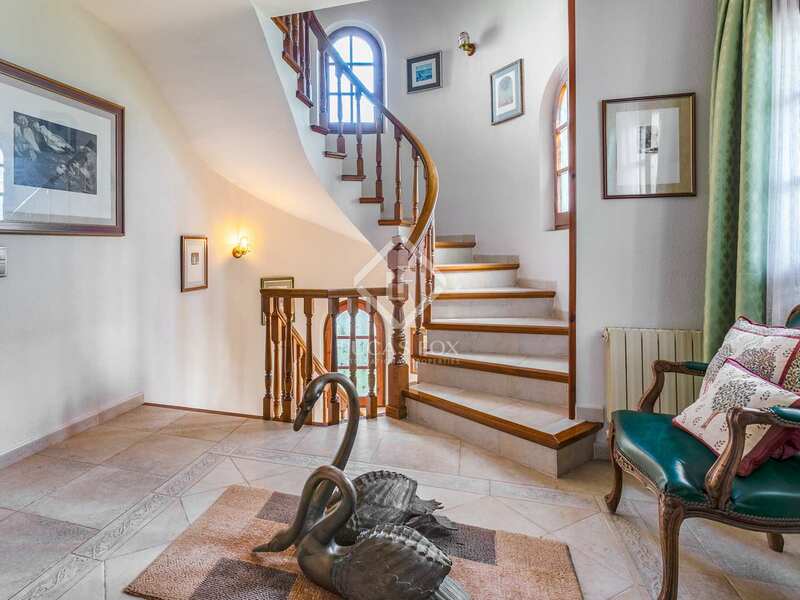 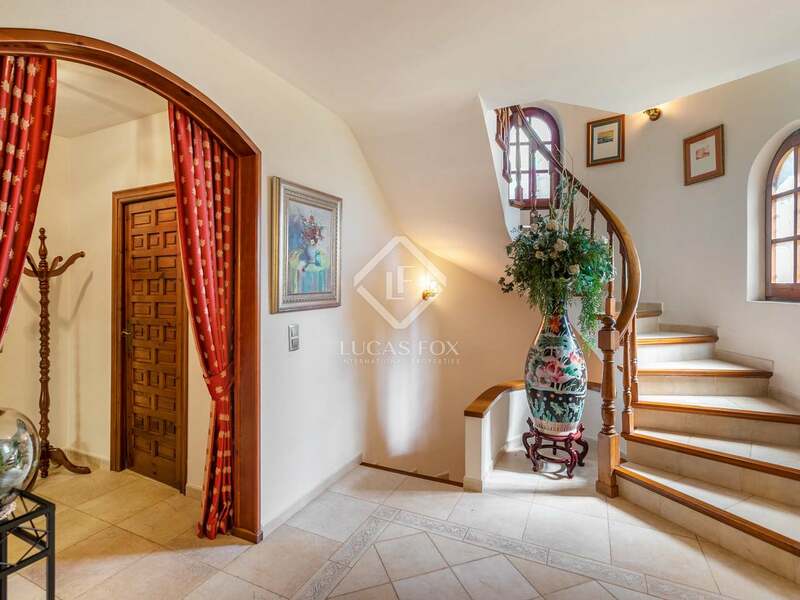 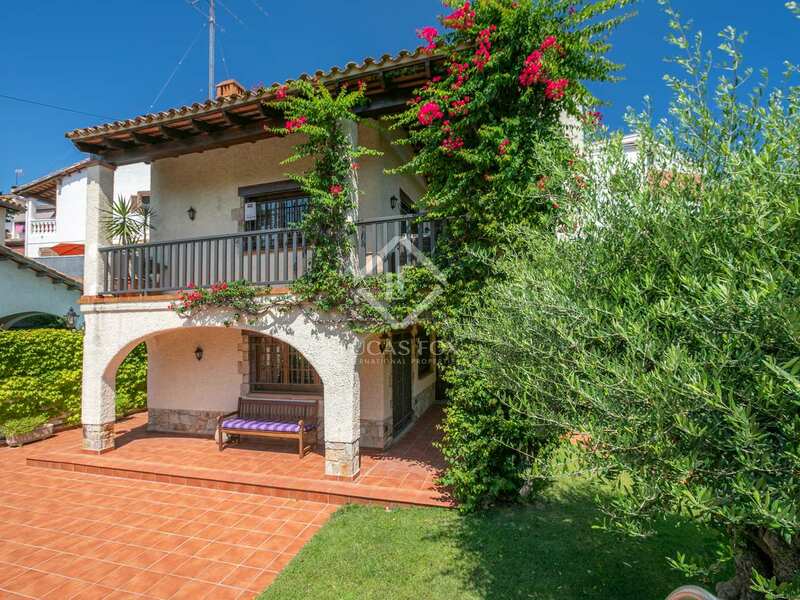 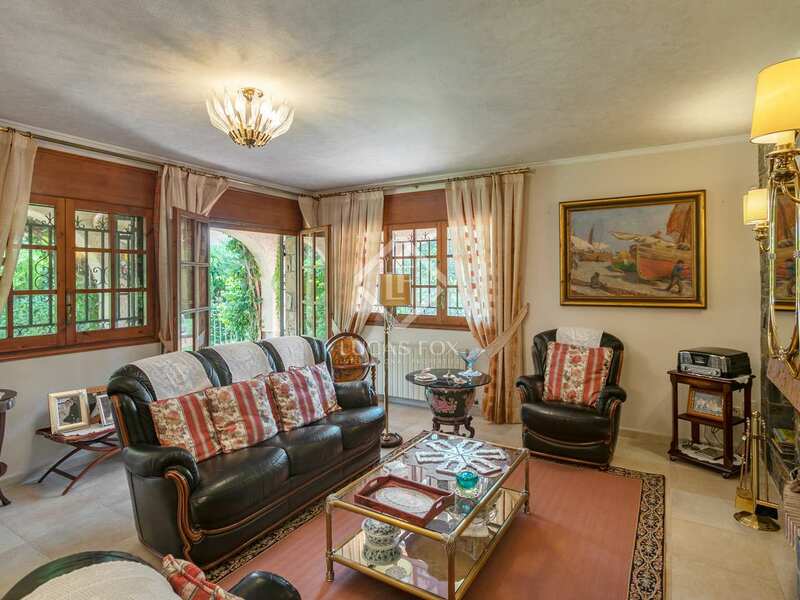 5-bedroom house for sale in a peaceful area of Vilassar de Dalt, ideal families. 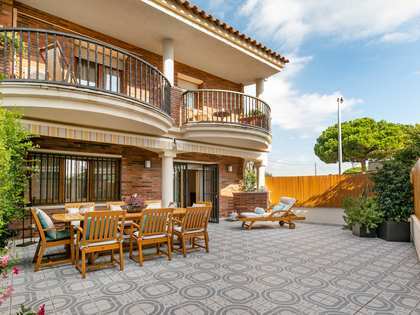 This spacious family home was built in 1988 and renovated in 2007 and enjoys a good location in a peaceful residential area in the Maresme town of Vilassar de Dalt, with amenities nearby, the beach just 5 minutes away and easy access to the motorway, Barcelona and the city's airport. 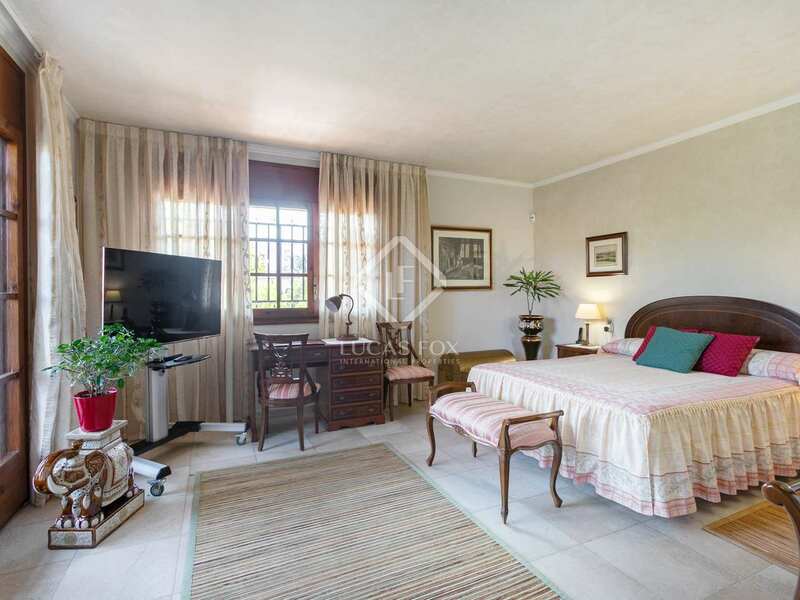 The main floor of the property offers us a bedroom, a complete bathroom, the kitchen, a machine room, pantry and the living room – dining room with a fireplace and access to garden. 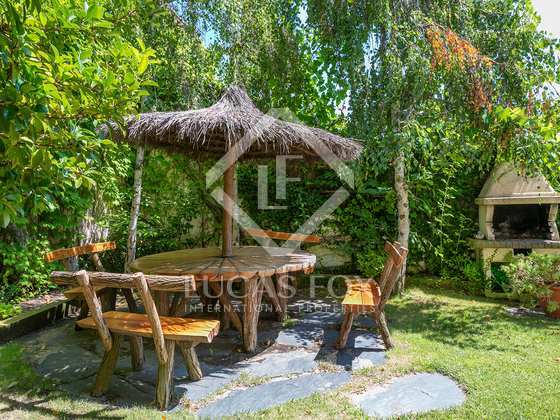 The garden offers a green area with real lawn and automatic watering system, summer and winter dining areas, a barbecue and the option to build a swimming pool if desired. 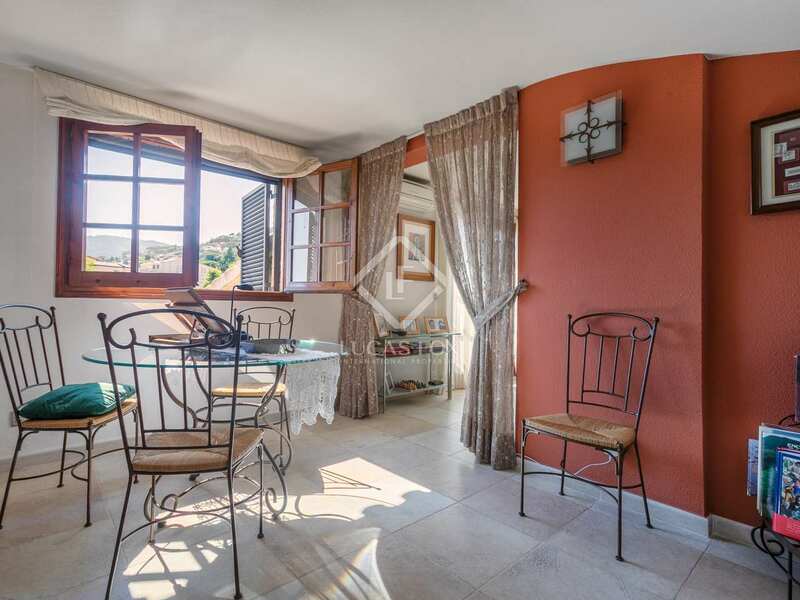 On the first floor we find 2 single bedrooms and 1 double bedroom which share a complete bathroom, as well as a suite which contains a bedroom, bathroom, dressing room and a sea view terrace. 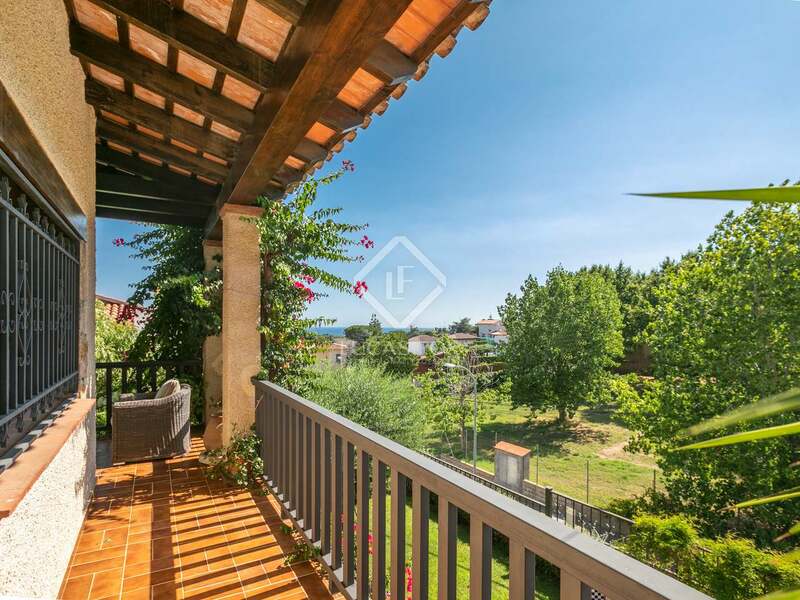 The second floor houses another spacious bedroom with a terrace and sea views. 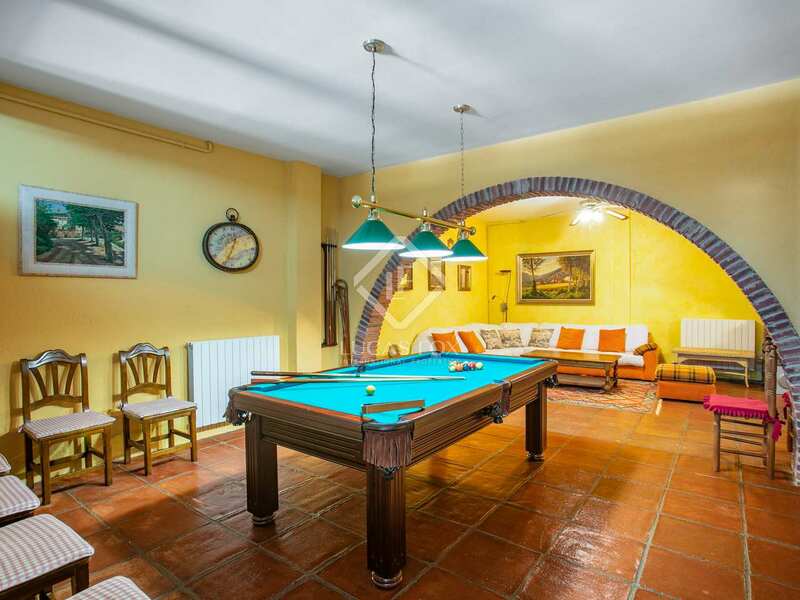 Going down into the basement we find a space that can be used as a games room and there is a spacious garage for 6 cars and a fitted closet. 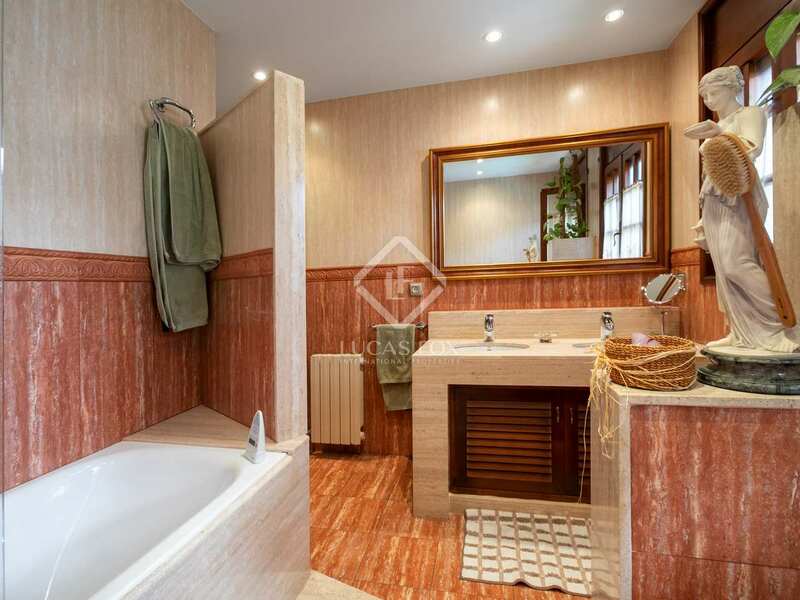 Other features of this property include the gas heating, air conditioning, alarm system, video entry phone and wooden window frames. 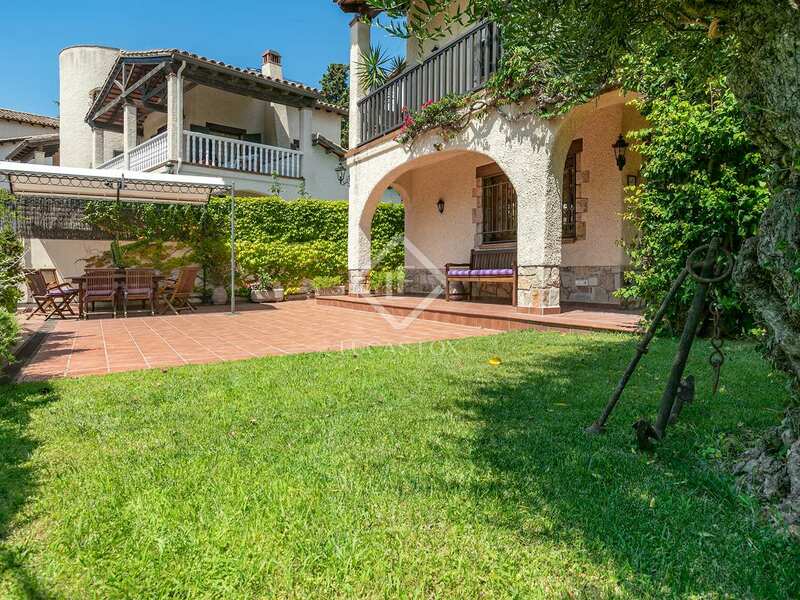 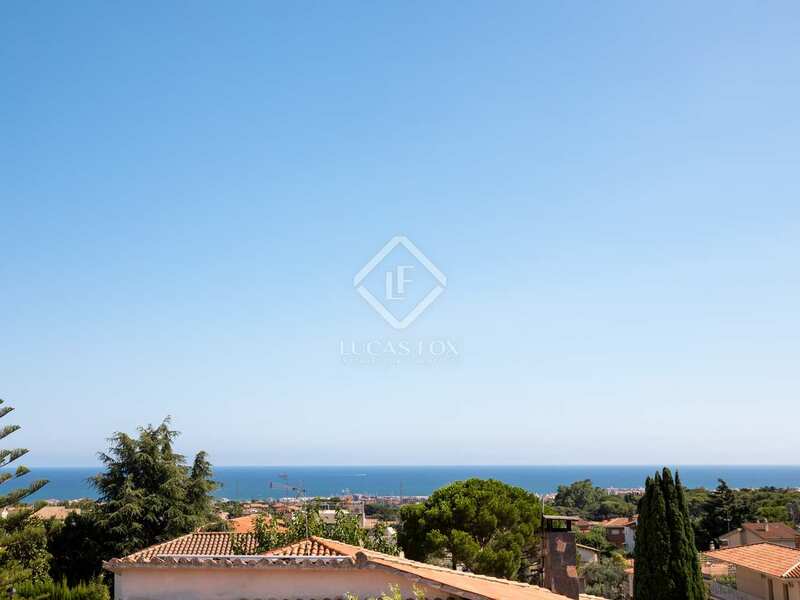 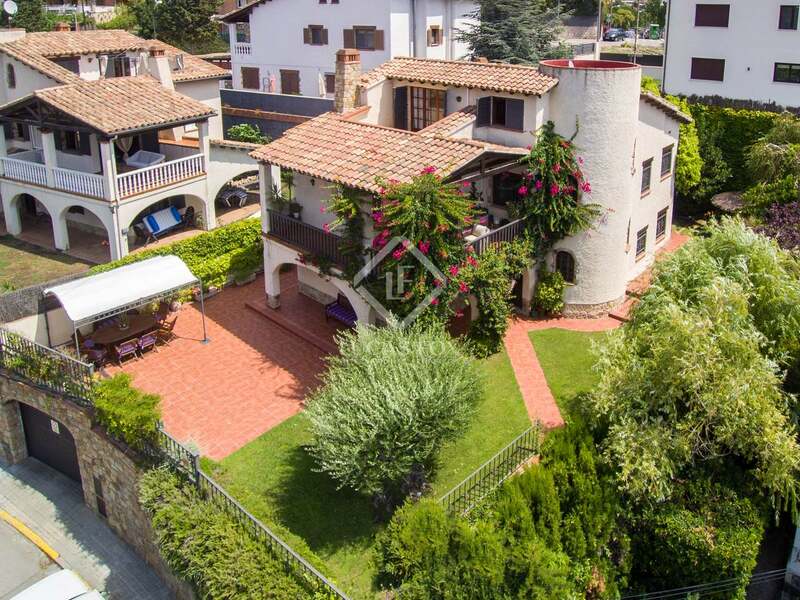 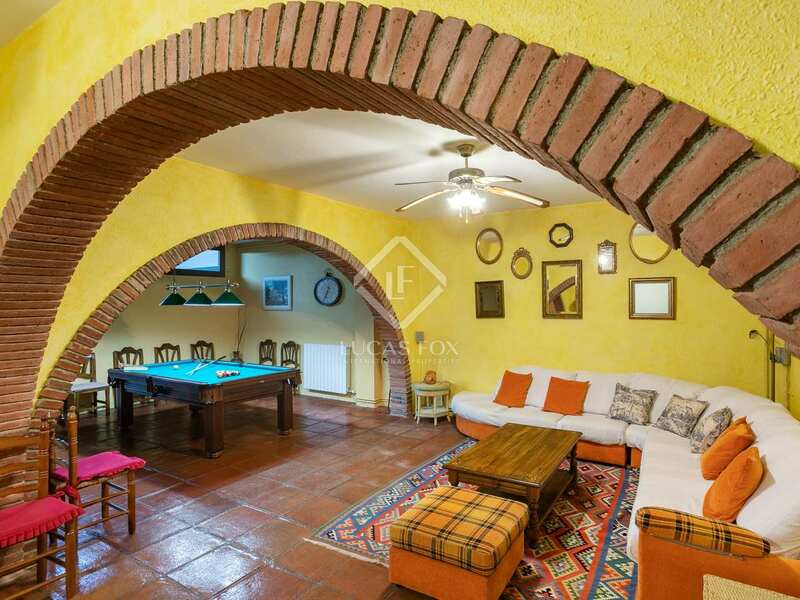 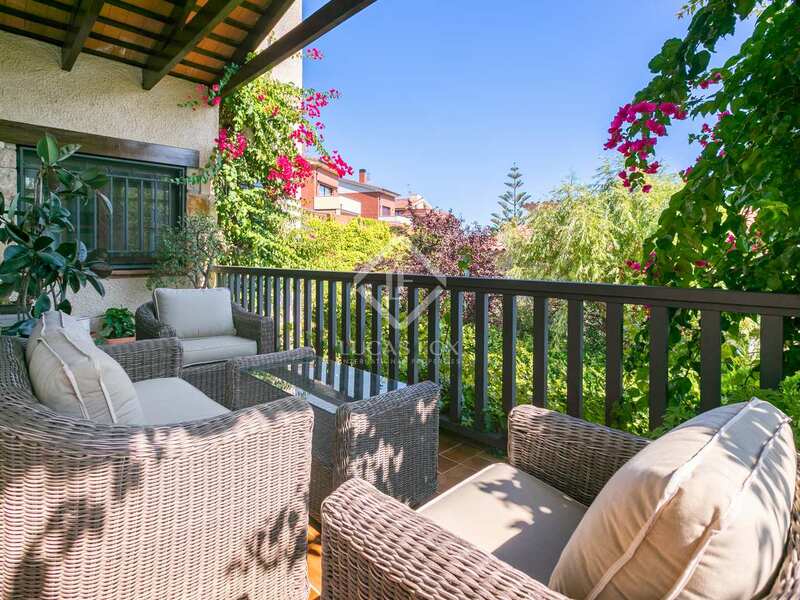 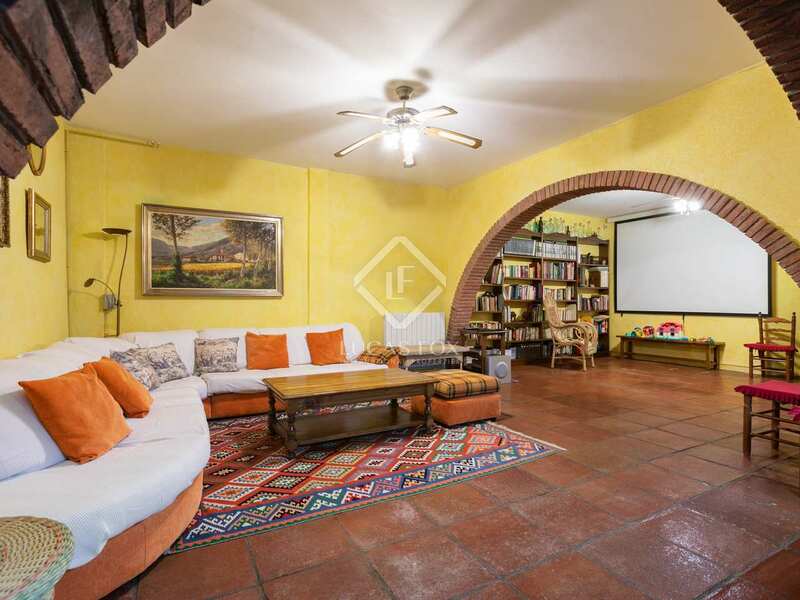 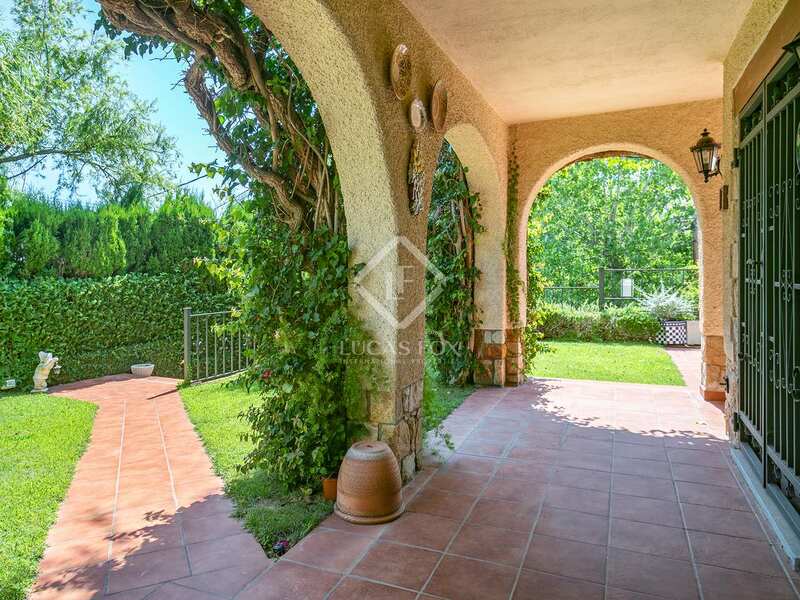 This property is located in a peaceful residential part of Vilassar de Dalt, in the Maresme coast area. 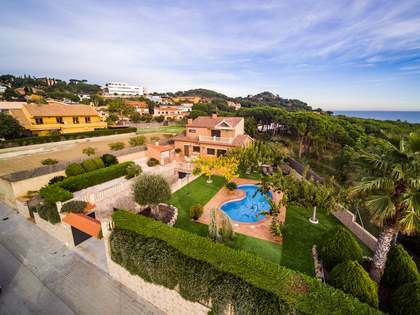 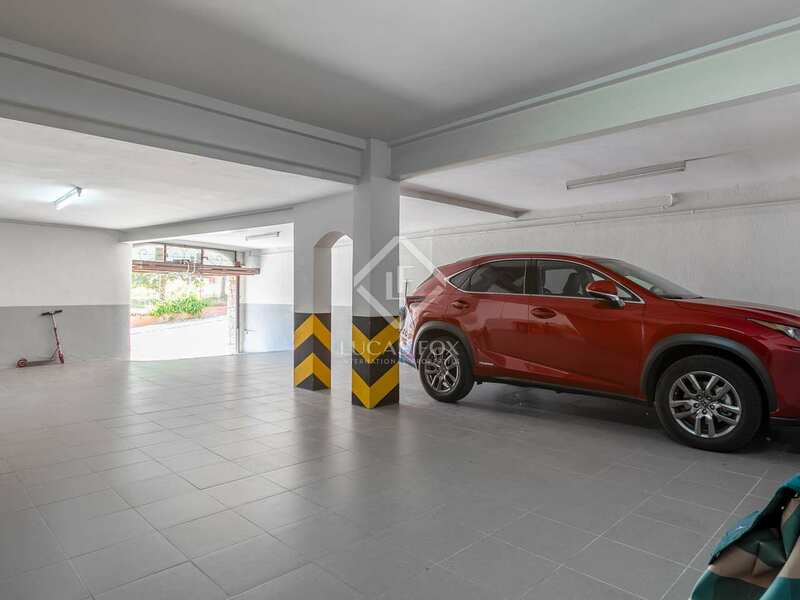 It is close to amenities such as a gym, supermarket, schools and hotel and is just a 5-minute drive from the nearest beach. 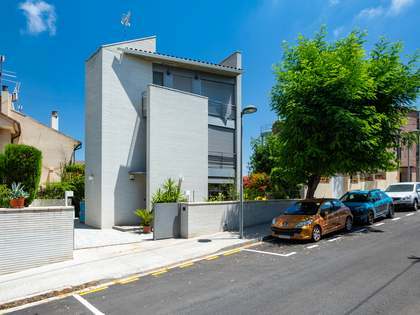 Barcelona can be reached in 25 minutes and the airport in 45 minutes. 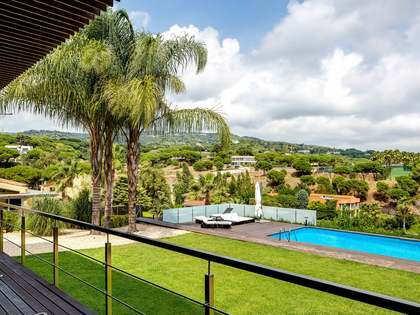 It is very easy to access the motorway from here.